t2homes | Two architects, who love houses, look around the Boston area real estate market to see what interesting properties are for sale. 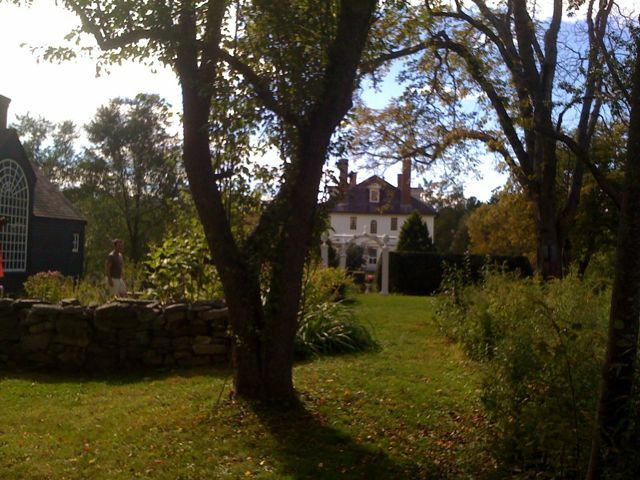 Big Tim and I spent a glorious afternoon over Labor Day weekend motoring up to Maine to see Hamilton House. Perched on a knoll overlooking a bend in the Salmon Falls River, this 1785 Georgian is maintained by Historic New England and is open to the public for tours. 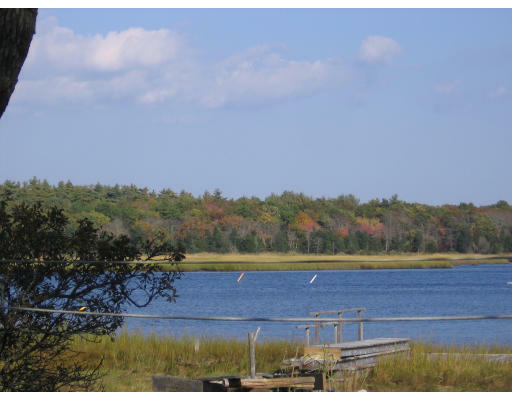 It is located just a few miles across the state line from Dover, NH about an hour and a half North of Boston. The gardens are lovely and are home to a number of outbuildings, fountains, stone walls, and trellises. I popped into this property to preview it for two of my favorite buyers. 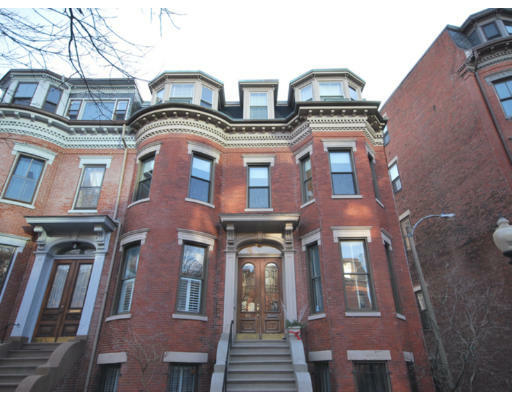 They’re eager to find a two-bed with parking in the Back Bay under $600k but everything we’re seeing has serious issues. And there’s not much to look at anyway. 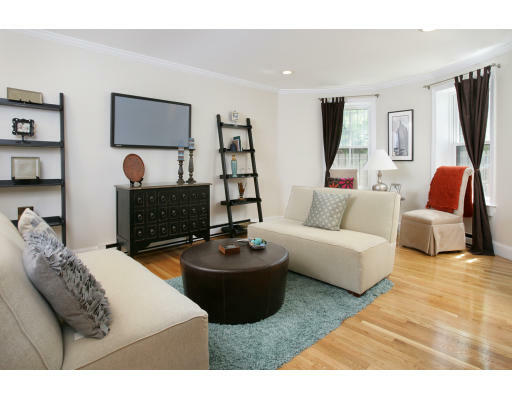 This unit is a good size with two decent bedrooms and a pretty Living/Dining Room facing the Comm Ave mall. The kitchen was updated but everything is just feeling a little dingy. A new owner will want to really scrub the place down and give it a good facelift. It has the appearance of having been a rental for a really long time. There are two other drawbacks for these buyers. The kitchen is in the middle of the unit and removed from the Living area. And the tandem parking space has what seems like a 45 degree slope. You may need a winch to get your car out in winter and, if there was ice, you could slide right into the basement. Yikes. On the other hand, it’s an architecturally interesting building in an amazing location with tons of upside potential. A kitchen facelift, new bath and, maybe, the addition of a second bath would turn this into a money-maker. The common areas are a little sketchy and need some help – what is that cat pee smell! – but you’re steps from everything and, with the right designer, this rough gem could shine…if you’re really creative. Most waterfront lots in sought-after towns, such as this one in Marion, can easily fetch a million bucks. This property is in a modest neighborhood of little beach cottages with amenities like a clubhouse, docks, and beach and isn’t where you’ll find multi-million dollar mega mansions. You will, however, find drop-dead gorgeous views and a seriously deteriorated tiny cottage that needs to meet the business end of a bulldozer. Permitting is difficult in a flood plain and the house has to be designed to look good on stilts. There is town water and sewer at the site, so things should go smoothly as long as you have a good architect to lead the way. This is a stunning value but not for the faint of heart. Your beach fantasies can come true if you’re up for an adventure! Everyone wants a 2BR condo these days. I’ve never enjoyed overnight guests in the confines of an apartment and, frankly, think that guests should spring for a hotel. But, I’m in the minority here. Spacious 2BR units are expensive and in very short supply. I’ve written before that you have to move to the outer reaches of civilization to find an affordable one. 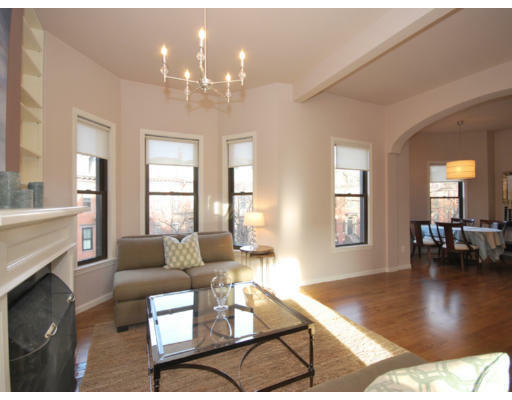 You can also go lower in the building in the more sought-after parts of the South End and Back Bay. Here is a perfect example of the latter. 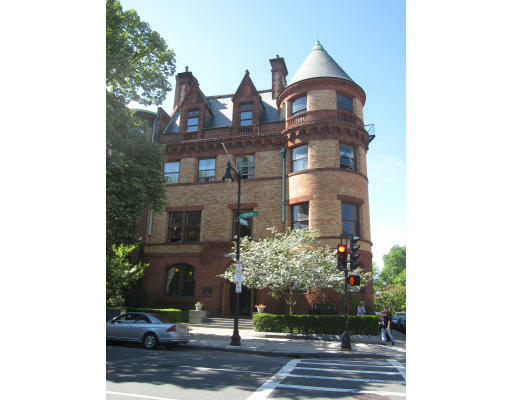 This unit is on the ground level on Columbus, steps from Back Bay. These are great buildings because the ground level is at street level, not down in the basement. They face south and the avenue is wide, so they have great light. 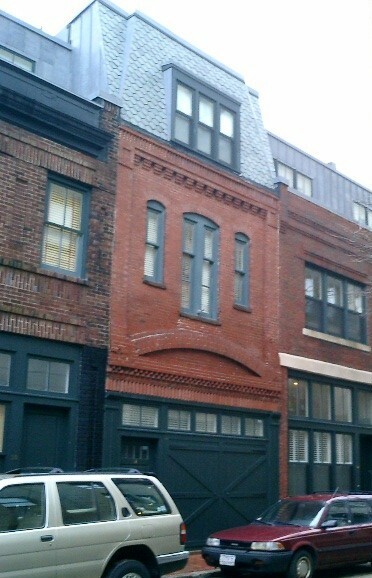 They often have decks off the back, which is almost always at least a full story above the alley in back. The buildings are big, so the layouts are spacious albeit with a smallish typical second bedroom. At $449,000 for nearly 750sf of nicely decorated space and plenty of closets, it’s like getting a free second bedroom with the purchase of the first one. I confess that the picture at left is from a few years ago when I sold my friends this carriage house. Now, after a multi-year renovation and a whole lot of fun fundraisers, parties and good times, it’s going on the market. Though Assessor’s records say it was built in 1910, it’s more likely to date back into the mid-19th century. Originally a carriage house, it was used as a speakeasy during prohibition and, by the 50’s, had become the city’s premier gay bar – Napoleon’s. Judy Garland and Liberace performed for the crowds here. Now a four-level single-family private residence, it is more swank than ever! Enormous entertaining spaces are balanced by a flexible floorplan that allows for intimate gatherings with family and friends. The first floor contains a huge custom Arcilinea kitchen with endless storage that opens to an intimate, fireplaced dining room.
. The sliding doors allow guests to stay over in the Library while also giving them their own bathroom. The owners bathroom has a deep jetted soaking tub and room-sized shower with body sprays. There is a full staircase to the roof from this level. The finishes are, naturally, over the top. 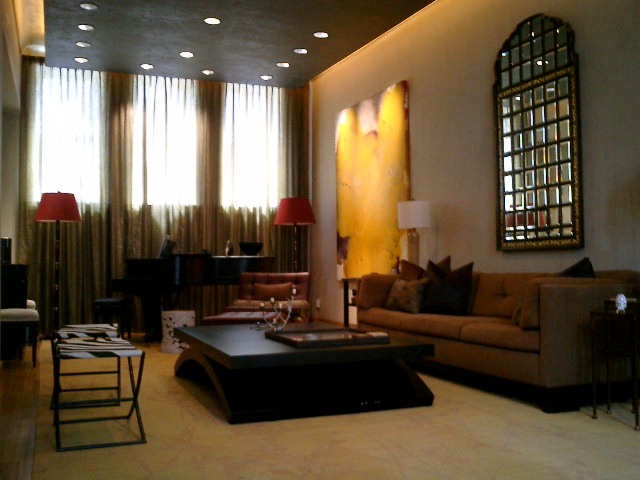 Heated stone and tile floors, hardwood, and venetian plaster walls are found throughout. A custom metal stair rail winds through the spaces allowing sunlight to pour through. You won’t have to watch a movie to see this home but you will have to have a Tom Cruise-sized wallet to call it “home.” Bids on this mega-house are due this Friday and developers across the city are trying to figure out what to do with it. Most likely, it will be converted into a few swank, riverside condos but other proposals are under consideration. There’s something like 27,000sf (including the cavernous basement), three exposures and drop-dead river views. Though it’s in need of major renovation, much of the original detail is intact. This is a home that is sure to be resurrected! Double-wide denotes status in the world of trailer-parks and in the world of townhouses. This is the latter. Double-wide townhouses are rare and they offer extra windows and interesting floor-plans. Fresh to the market on sought-after Concord Square, this property is steps to Back Bay, the subway and all the fun of the South End. There is a front-to-back Living Room with sliding doors to private outdoor space. The elegant entry splits the double-bays with the Dining Room and Kitchen opposite the Living Room. This upper-level (one above parlour) unit has two good-sized bedrooms, one bath, and unit-controlled heat and central air. Rental parking is available. This one will go fast at $564,500 for a beautifully laid-out 863 square feet, maybe even before the first open house this weekend. Get in touch right away if you’d like to see it! 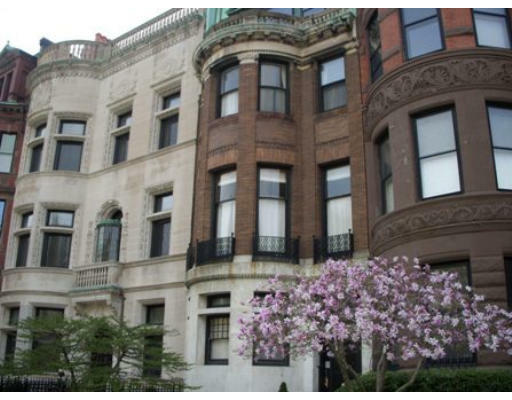 t2homes · Two architects, who love houses, look around the Boston area real estate market to see what interesting properties are for sale.